We had a giant blizzard this weekend. Unfortunately, the snow here turns brown and disgusting real quick but I decided that I wouldn't let that happen this time! 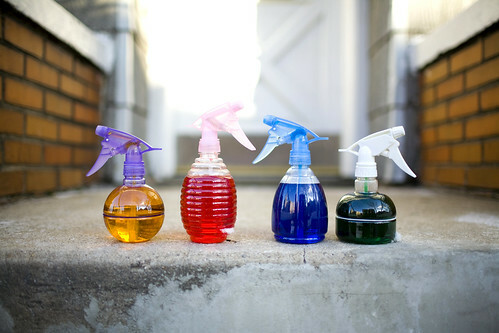 So I filled a few spray bottles with colored water and went around my neighborhood spraying the snow red, blue, yellow, and green. The ground now looks like one big tasty snow cone. am I the first? Woots! I feel bad for the brown snow now. A miracle!! Such a good idea! I love your whimsical and fun nature.. bringing joy and color everywhere! You are a genius. The only colored snow I've seen is yellow. Gross. I grew up in NY--and when I was a kid my friend and I used bundle up and go out into the cold with a pitcher of koolaid. We would dump it into a pile of snow and then sit on either side and eat it!! We loved trying different colors of koolaid! How awesome! 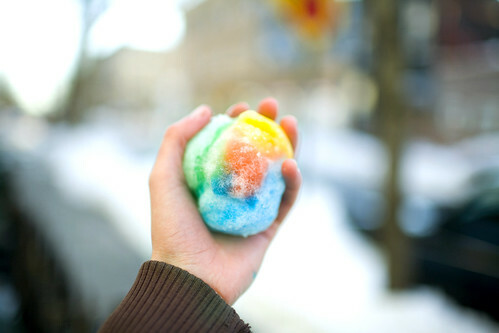 I wish it would snow here so I could at least a little food coloring on a snowball and feel special. you're too funny katie! I LOVE IT! @ Cass- That is too cute!! I just thought I'd let you know, you're blog ALWAYS makes me smile!! That reminds me of a choose your own adventure fantasy book I read as a kid. The maiden has to cross a snow mountain with colorful snow and each color patch has a different affect on her world! Magic. I love it :) What a fun idea! We used to do this in gradeschool all the time! It was so much fun to build a snowfort or snowman and then color it! Last year I ran a winter teen retreat and each team was given a spray bottle with a different color and had to build a sculpture inspired by and incorporating their color. So much fun. We had green turtles, purple bunches of grapes, and a "blue man group"
Gives the line, "As pure as New York Snow" (Bette Davis Eyes) a whole new meaning! That's awesome. But even knowing what's behind the colors, I'm tempted to eat it now. I bow down to your awesomeness. That is GORGEOUS! Way to turn snow on its head. What a nice jolt for the passerby. how fun! so colorful...i love it. makes boring so much more fun. FANTASTIC idea. Where do you come up with these?? You always make me smile and this colored snow was no exception!Reminds me of your cookies. I used to put colored water in different shaped containers and let them freeze and then make beautiful colored ice castles. Try it! Now I know what to do tomorrow! You made me smile today! I live in Vegas so definitely no snow here! I discovered your blog a few weeks ago and have just been quietly observing ... but I have to comment on this ! SO COOL ! I love it. You are so clever and creative and inspirational !! Thank you again for giving a great reason to not just smile but to GRIN! wow..i heart it ..so creative..
Oh, a snow rainbow. Another Katie masterpiece ",)Love to eat it, haha!Reminded me of the Halo-halo, a favorite thirst quencher during Summertime. Halo-halo (from Tagalog halo, "mix") is a popular Filipino colorful dessert that is a mixture of shaved ice and milk to which are added various boiled sweet beans and fruits, and served cold in a tall glass or bowl. I don't know how you think of these things...but I really enjoy seeing what you come up with next! Did you dare eat the snow ball afterwards? I almost got hit in the face with a snowball when I inadvertently walked into an after-school snowball fight on 76th Street today. I would have been much happier had it looked like your last photo! Love it. 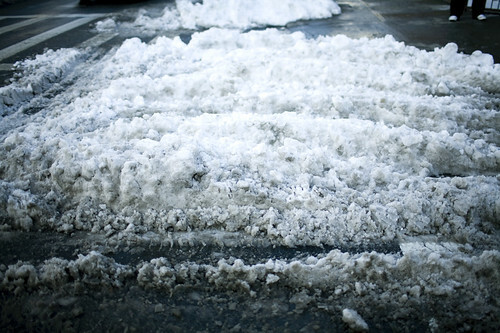 I knew you'd have snow brought into your life ( maybe not your apartment but it found you outside! And you colorized it as you do with everything you touch! I knew where this post was going! So cute. Snow cones for everyone! What a fun idea!! You sure are creative my dear!! so cool! i wonder what other peeps thought when they saw the snow wasn't white anymore! Honey, brown is beautiful! Enjoy what nature gives us, without cultural stereotypes. Are you serious Michelle? Nature doesn't give us brown snow, car pollution makes it brown! My brother and I decided one year that we were going to make a town scene out of colored snow. We made houses and a lake with a duck, etc. etc. and colored it with food coloring. Unfortunately when the snow melted the food coloring stained and ruined our picnic table and half our wooden deck! Ooops. But it was beautiful for a while! So..so..so very creative. Love how you think!!! I hope I can eat those snow ball..yummy!! what a nice way to bring cheer! love this! You are the best ever. Enough said. As Frank Zappa said: "Don't you eat that yellow snow .."
pretty, pretty, pretty! What a fun idea! Dang, why do you do such lovely things Katie!! what a fantastic idea!!! I will try that on my front lawn the next snowfall...just love it!!! Coloured water? Did you just add paint? I wish you would update more! 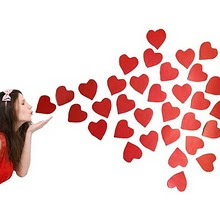 I love your posts. Nothing brings a wider smile to my face. Just came across your blog and I rrrrreeeeeally adore it! This could well be my newest hobby! Better even than peeing your name into the snow. Well...almost. this activity looks like it would be so much fun to do but.... I live in Florida. So.... I have to buy the fake snow. So, my next question would be; could you do this activity with the fake snow. hmmmm will get back with u. This just made my day :o) Love, love, love your blog! 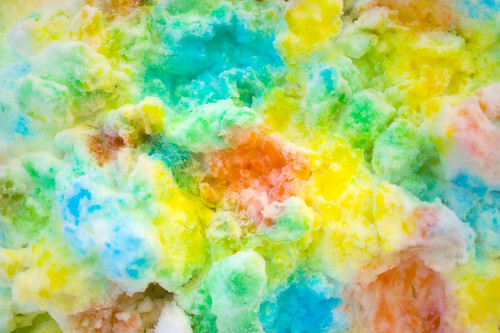 But this neon snow looks all kinds of cute. I'm contacting dictionary publishers.. to have the word re-spelt as..
eee! you make me smile so much. Made these kind of colorings with children winter 2008-09, they loved it..